The Mars Society is pleased to announce that Dr. Michael Meyer, Lead Scientist for NASA’s Mars Exploration Program, will give a plenary talk about the agency’s current and future planning for Mars missions at the 21st Annual International Mars Society Convention, scheduled for August 23-26, 2018 at the Pasadena Convention Center. 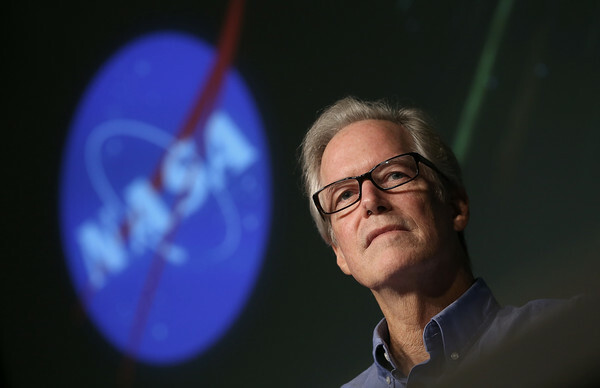 A Senior Scientist at NASA's Science Mission Directorate in Washington, D.C., Dr. Meyer oversees the Mars program’s science operations and planning and also serves as Program Scientist for the Mars Science Laboratory/Curiosity mission currently operating on the surface of the Red Planet. Previously, he was Senior Scientist for astrobiology for the 2001 Mars Odyssey mission. Dr. Meyer earned his Ph.D. and M.S. in marine biology and biological oceanography from Texas A&M University (1985 and 1981) and his B.S. in micro-biology from the Rensselaer Polytechnic Institute (1970). His primary area of research includes the study of micro-organisms living in extreme environments, and he also conducted related field research in the Gobi Desert, the Negev Desert, the Canadian Arctic, Siberia and Antarctica. For more information about the 2018 International Mars Society Convention, including registration details and the call for papers, please visit our organizational web site (www.marssociety.org). A list of confirmed speakers and a tentative program itinerary will be posted online in the near future.